I have some new sets to show you. Patsy, those are gorgeous! I especially love that last set - the colours and shape. What press is that? Ingrid - Wow I love the nummskuls! They must be a blast (lol) to make! The press I am using is Zoozi's longer nugget press. I don't bring it out very often as it takes a lot of glass to fill them, and for me a little more patience. Ingrid, I am mad about the beads!! Ingrid, I love the Nummskulls!! The look very fun to make - those lips especially! Patsy, that blue is wonderful, yum! 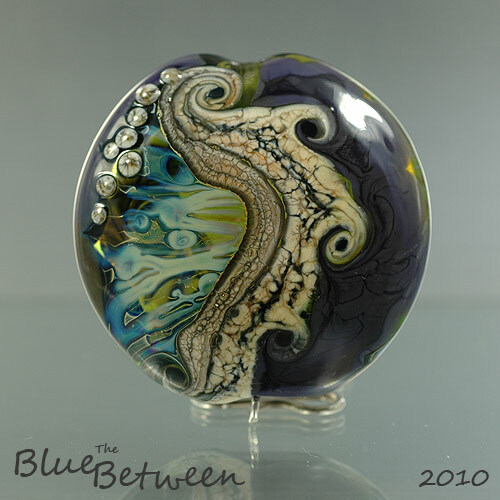 Astrid, another gorgeous bead, love the wave-ness going on. This lot finish today, most have no bids so get in quick and grab a bargain! Retro Candid Coral â€“ a orangey coral and turquoise, I ummed and ahhed about etching these to get rid of the silver reduction film on the turquoise but couldnâ€™t find my etching liquid lol decision made I guess! 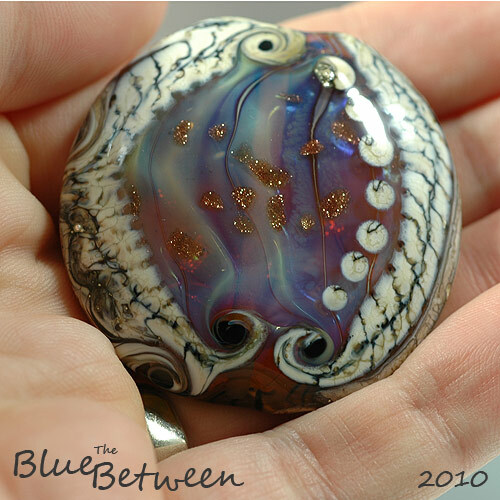 Smoke on the water â€“ these are a transparent blue base with a multicolored amber and gold frit swirled through them, so much nicer in person! Astrid - Love the colors! Pam - That first bead is tdf! The Nummskuls want me to tell you all that you made their day! Thanks for the encouraging words. Astrid, another 'dreamy' bead from you! Ellie, great colours! I so don't have the patience to make big sets.